From his home deep in a Scottish glen, John Lister-Kaye has watched and come to understand intimately the movements and habits of the animals, and in particular the birds, that inhabit the wild and magnificent Highlands. Drawing on a lifetime of observation, Gods of the Morning is his wise and affectionate celebration of the British countryside and the birds that come and go through the year. It is also a lyrical reminder of the relationship we have lost with the seasons and a call to look afresh at the natural world around us. Sir John Lister-Kaye is one of Britain’s best-known naturalists and conservationists. He is the author of nine books on wildlife and the environment, including At the Water’s Edge, and has lectured all over the world. He has served prominently in the RSPB, the Nature Conservancy Council, Scottish Natural Heritage and the Scottish Wildlife Trust. 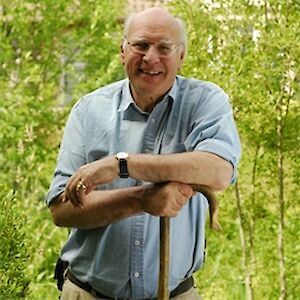 In 2003 he was awarded an OBE for services to nature conservation. He lives with his wife and family among the mountains of the Scottish Highlands, where he runs the world-famous Aigas Field Centre.